Hands up if you are trying to make it as a writer. Is 2018 going to be the year where you pick up that pen or open that blank document and start? Being a writer and making a living from your passion are not necessarily the same goal. With my first novel under my belt I know how hard it is to reach that milestone, let alone turn it into an income generator. Despite being one of the lucky people able to write full time, I’m going to make an admission here: working from home and working for yourself are not as idyllic as you might think. Whilst often a dream for anyone stuck as a corporate prisoner, the reality can be very different. Without discipline and structure, without accountability, without a boss, what’s to stop a diet of daytime TV and social media surfing? At times, even the chores or other WAB (work avoidance behaviours) seem so much easier than the self-discipline needed to stick to your daily word count. So, it occurred to me whilst waiting in the hospital reception for my son’s annual kidney MOT, it might help to reframe my work as a writer in a more formal way. What if my years of recruitment experience could help me draft a job description for myself? What if I researched the market place and understood the common traits of a successful writer, then drafted interview questions? What if I prepared my answers to those interview questions? How would I fair? If lucky enough to keep the unpaid job I already have, it might just help me start to earn a living from that same dream job. Here are the answers to those questions. As you might imagine, asking a bunch of writers to name the top three traits brought a wide range of answers. In a straw poll, with absolutely no scientific or statistical basis, almost 50% of those who replied gave at least one unique answer. Having said that, several used the Rule of Three literary device, repeating a triplet of the same word. Although clever, for the purposes of my summary, I have only counted these once. This brings the total number of traits to 27, however, on closer inspection and perhaps unsurprisingly given the audience, many are synonyms of each other. Combining these for simplicity, there are three clear winners. The third most common answer – ‘someone who writes’ or as one put it ‘sitting down and just doing it.’ The second – creativity or imagination, and in first place by almost double – persistence. To keep it simple, the description is targeted at writers of fiction but could be applied to other disciplines with a few tweaks. After much research, traditional publication is my personal preference, so the description is also deliberately specific to writers choosing the traditional publishing route rather than self-publishers. There are commonalities but those choosing to self-publish will need to wear several other hats, post book-completion, to get their work to market. Watch out for a further blog covering this very topic. 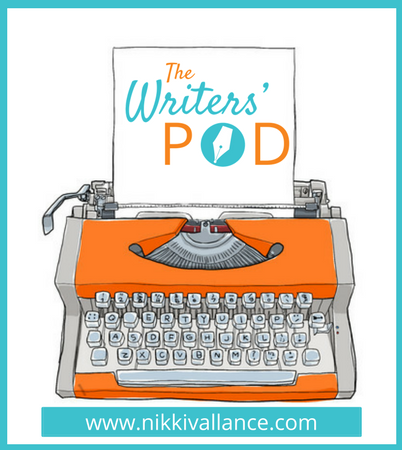 In the meantime, for more information, read a self-published author’s views from The Writers’ Pod Presents interview series. Purpose: The creation of novels for the shelves of a book store. Edit and redraft as many times as necessary to create the best and final version. Understand when to apply these rules and when to make exceptions. Work with agent, editor and publishing team to shape the book ready for publication. An ongoing drive to improve skills. Personal satisfaction of fulfilling an ambition. Creation of a story for others to enjoy. Recognition of work in journals, magazines and wider media. After much deliberation I have compiled a set of the ten most challenging questions I wish I’d been asked when starting out. This is not because I’m a glutton for punishment but more because I believe in being prepared. If you are seriously considering a writing career, these might help you approach the move with your eyes open. 1 What makes you think a writing career is for you? 2 Describe the best piece of writing you have produced. What makes it the best? 3 What is your writing ambition and what three skills do you have to support it? 4 Describe at least three different routes to publication with the pros and cons of each. Which works best for you? 5 Define success. What are your personal barriers to successful writing and how will you overcome them? 6 Give me an example of a time when you failed at something? What was the situation? How did you respond? What was the outcome? 7 Whose opinion of your writing do you most value and why? 8 What is your writing routine? 9 What plans do you have to supplement your income from writing and how will you integrate this into your routine? 10 Tell me about a time when you were prevented from achieving a goal. What was the situation? How did you respond? What was the outcome? So how did I fair? Whilst my answers might be of some interest, rather than sharing them here, I would encourage the writers amongst you to contemplate these questions for yourselves. I will say, I found this process extremely illuminating. Whilst continuing to submit my novel, Pivotal, to agents it’s time for me to knuckle down and get serious about writing book number two.